Algonquin Outfitters - The OX. 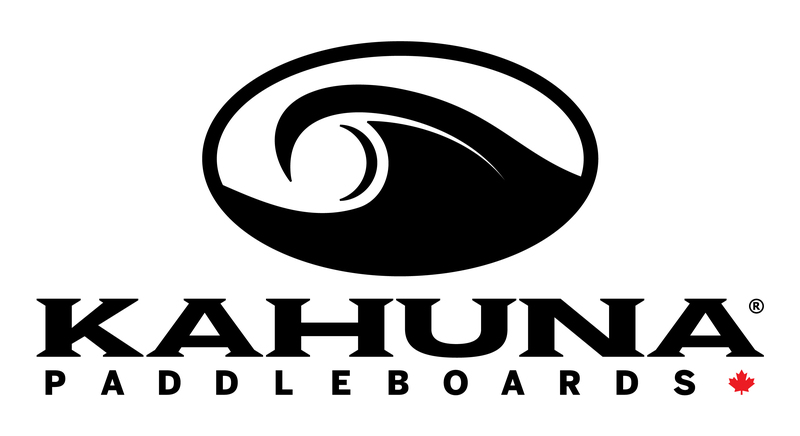 Shortlisted for the 2015 Reel Paddling Film Festival World Tour! Thanks to Andy Hansen of Pure Muskoka, who directed and produced this professional mini-documentary of the 2014 Muskoka River X. MRX alumnus, Chris Near of Huntsville, helped Andy get to all the spectacular locations along the course. Armed with a drone, multiple GoPro cameras and a DSLR, Andy has captured and created a captivating testament to the challenge of the Muskoka River X and those that are driven to accomplish this epic expedition paddling race. Back for it’s 7th year, the River X crew is pleased to announce an exciting schedule for your 2019 paddling season. Back again for 2019! Starting with the MRX Classic paddlers on Peninsula lake, Sprint Teams will paddle 58km on the North branch of the Muskoka River, through Port Sydney before ending their journey in Bracebridge. For those paddlers who want an MRX experience at a shorter distance, not needing to tackle the upriver-overnight Stages 3 and 4, or wanting to race shorter under-17’ C2 Rec canoes, the MRX Sprint is a great way to start your career in expedition paddle racing. Limited Spots Available. The race that started it all. 2016 OMCKRA Race of the Year. The classic is back for it’s 7th year to push teams to their limit. As it was in 2018, the entire course will be run in reverse direction. Teams paddle two rivers systems, three lakes and 20 portages for a total of 130km in less than 24 hours. 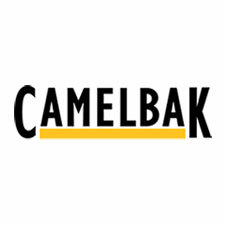 The Classic is completely self-supported. That’s right, no outside assistance, no support teams and no re-supplies. Considered the toughest single day canoe race in the world, the MRX Classic is not your traditional marathon-paddling event. Challenge your self. Your expedition is waiting ~ The 2019 Muskoka River X Classic. Limited Spots Available. Back by popular demand. Our 2-day, 220km, ultimate marathon expedition paddling race. 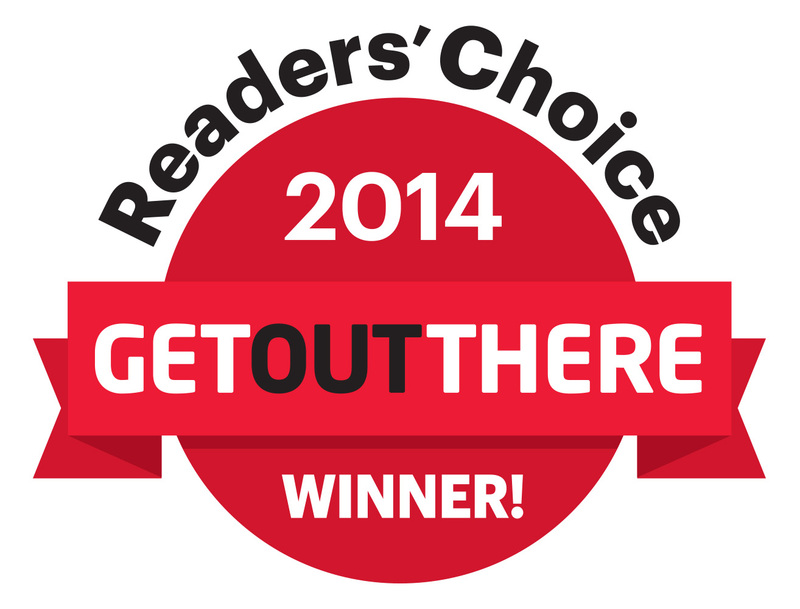 Cross the entire width of the world renowned Algonquin Provincial Park on day one. Overnight at the Algonquin Outfitters base on Oxtongue Lake with your fellow competitors. Up early, pack up and take the shuttle to the Muskoka River X Classic B-Side start line at Hidden Valley Resort on Peninsula Lake. Complete the entire Muskoka River X Classic B-Side course on day two/three. 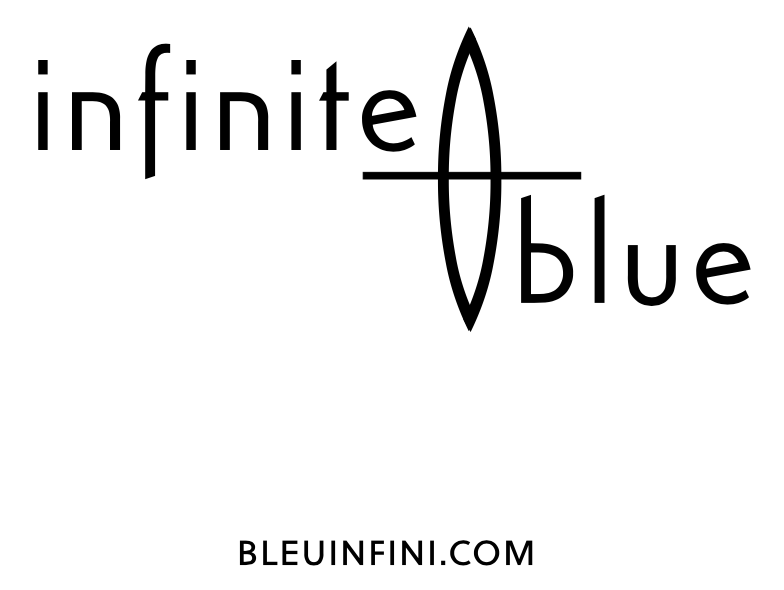 A 220km fully self-supported expedition that will sure to be a life long memory never to be forgotten. The 2019 Algonquin Outfitters Muskoka River X Coureur des Bois. The Muskoka River watershed is a vast area; from inside Algonquin Park east to Georgian Bay and the lakes around Huntsville in the north to the southern waters around Gravenhurst. Since time immemorial, the eastern Muskoka watershed was part of the vast territory of the Algonquin peoples who lived on these lands dating back at least 8000 years before the Europeans arrived. Shortly after Champlain’s arrival in the early 1600’s the Europeans began making voyages into the interior regions, often guided by the Algonquin peoples. As the fur trade developed, the Algonquin become a critical provider of resources to the Europeans, resulting in the Europeans reaching deeper into their lands. The competition for resources between European nations and the provision of firearms to their First Nation allies drew the First Nations peoples into armed conflicts, resulting in severe losses. Ultimately, with the expropriation of lands and the use of treaties, the Europeans effectively displaced the Algonquin off their traditional homeland and onto the tiny reserves that remain today. The western Muskoka watershed was the homeland of the Anishinaabek people. 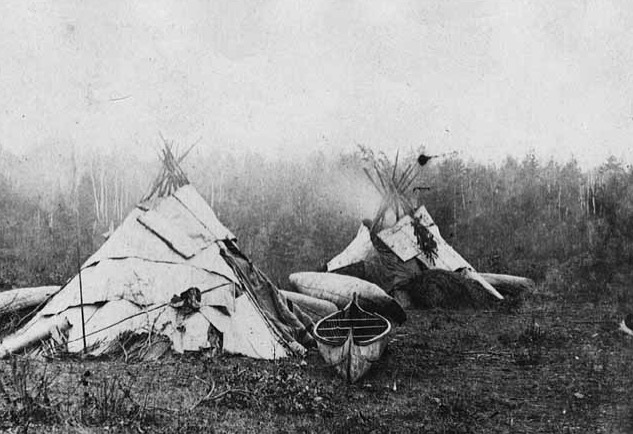 Similar to the Algonquin, the Anishinaabek were ultimately displaced onto small parcels of land controlled by the government though the use of the Robinson Huron Treaty and Bond Head Treaty. 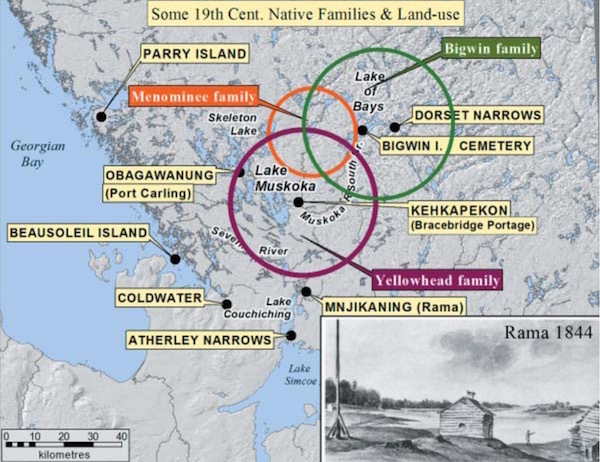 In the 1800’s the lands around what is known today as Muskoka (North/South Muskoka River, Lake Muskoka, and Lake of Bays area) were occupied by three separate First Nations families; the Bigwin Family, the Yellowhead Family, and the Menominee Family. In the spring, the families would travel into the watershed to their summer settlements for farming, fishing and hunting. 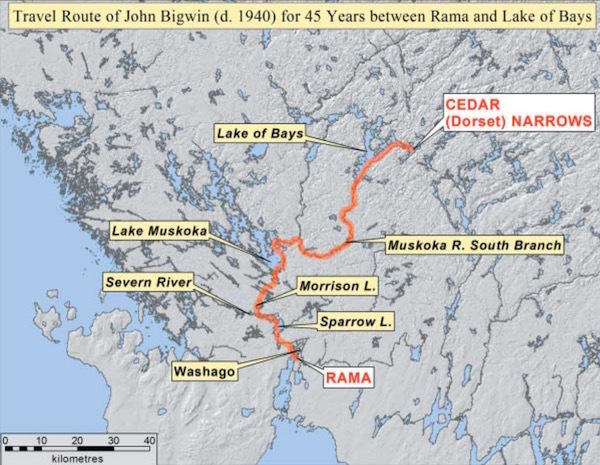 As an example, Chief John Bigwin and his family would make their way from Mnjikaniig (Rama) north to Sparrow Lake, Morrison Lake, Lag Lake, and Lake Muskoka. From here they would paddle up the south branch of the Muskoka River to Lake of Bays where they had a settlement at Cedar Narrows (Dorset). Following the War of 1812 and under the care of First Nation guides British expeditions began making their way into the Muskoka Watershed with the goal of finding water routes not vulnerable to American attack. Three initial explorations between 1819 and 1826 occurred but it was not until Lt. Henry Briscue’s 1826 expedition that the Muskoka River was first documented by Europeans. This expedition followed traditional canoe routes (see Bigwin Family map), traveling north from Washago/Severne River into the Algonquin Highlands via the South Muskoka and Oxtongue Rivers, up to Big Porcupine Lake (Algonquin Park) and east to the Madawaska River. After several more expeditions occurred throughout 1827 the British Military eventually deemed the route not appropriate for the construction of a canal. In 1829 Alexander Shirreff began a privately funded expedition to build a canal west from the Ottawa River to Georgian Bay. Although Shirreff did not find a route appropriate for the construction of a canal, he did chart a vast inland waterway of navigable lakes and rivers. David Thompson led the last and best-known European expedition in 1837. 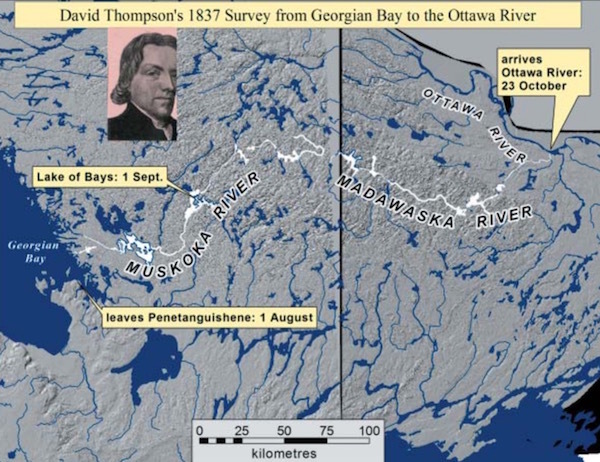 Although these expeditions were unsuccessful in locating a canal route, they did bring attention to the Muskoka watershed leading to further European expansion into First Nation territories. 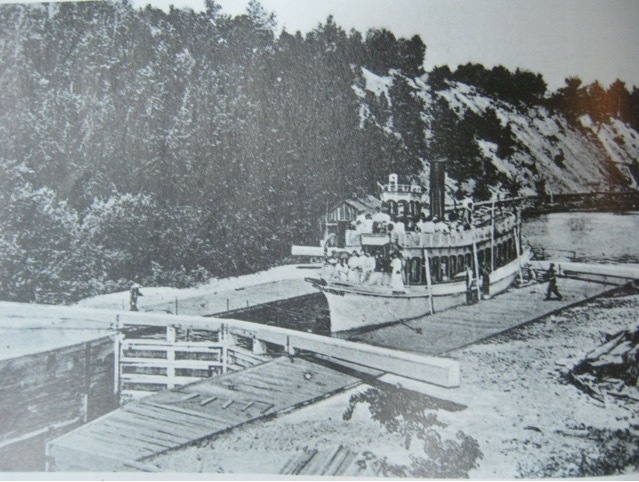 The era of steam ships in Muskoka began when Alexander Cockburn launched the Wenonah in 1866, traveling Lake Muskoka north from Gravenhurst up the Muskoka River to Bracebridge. Another notable ship that traveled this route was the Nipissing, launched in 1887 and then re-commissioned as the Segwun in 1925. The Segwun is North America’s oldest operating mail steamship. As an aside, it has been fully restored and is available for public cruises from the Gravenhurst Wharf, see: Muskoka Steamships & Discovery Centre. 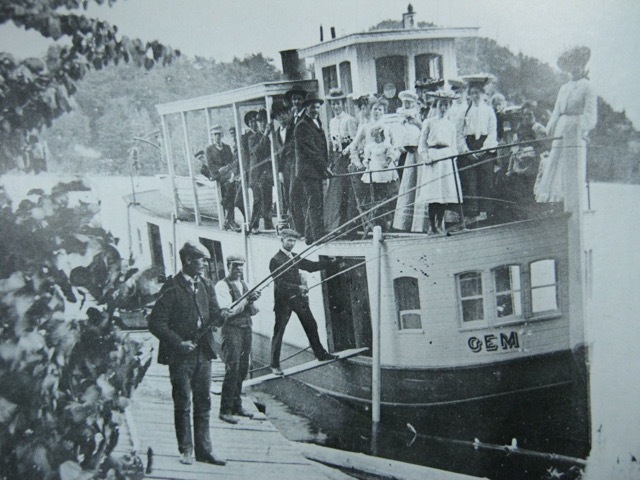 The northern waters of the Muskoka River watershed saw steam ship travel begin in 1877 with the launch of the Northern. This steamer route originated from Port Sydney, where Mary Lake empties into the North Muskoka River, traveling north to Huntsville. Other notable steamers that traveled this route include the Florence in 1884, the Gem, and the SS. Joe (1900). The route from Port Sydney to Huntsville was made possible with the construction of the Huntsville Lock between 1873-1875. Steam ship travel on Lake of Bays began in 1878 when Alexander Cockburn sold his steamer, the Waubamik, to Joseph Huckins who then renamed it the Dean. From Baysville, the steamer traveled Lake of Bays servicing ports of call such as Dwight, Portage, and the ever-increasing grand resorts. Other notable steamers on the Lake of Bays include the Helna (1884), Empress Victoria (1894), Excelsior, Erastus Wiman, Phoenix (1901), and the Hamilton H. The Huntsville Navigation Company was started in 1884 by George March with the launch of the Mary Louise. The dredging of the canal between Fairy Lake and Peninsula Lake between 1886-1888 allowed steam ships to travel the full system of lakes of northern Muskoka including Peninsula, Fairy, and Vernon. 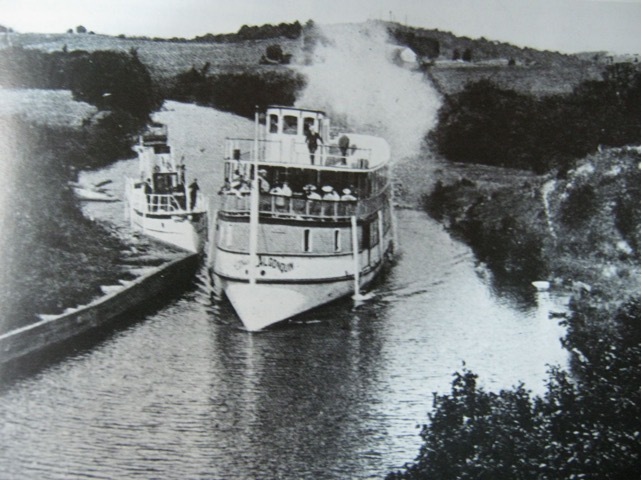 With the canal, ships such as Algonquin (1906-1927) and the Ramona transported goods and people from Portage to Huntsville and all points in-between. They also supported the development of Deerhurst Resort in 1896, the grand resort of the Huntsville area. 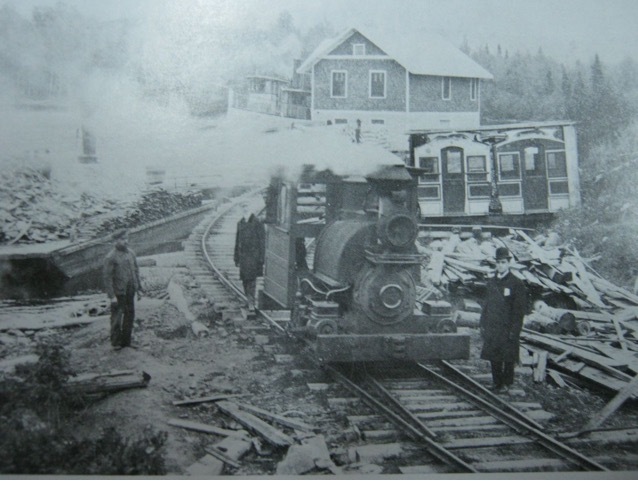 With the development of the Huntsville and Lake of Bays Transportation company in 1895, the wagon and coach link between Lake of Bays and Peninsula Lake was eventually replaced by the small gauge railroad, the Portage Railway, which operated between 1904 and 1959. Wasauksing First Nation, situated on what is now called Parry Island in Georgian Bay. Shawanaga First Nation, situated north of Parry Sound on the Shawanaga River. Magnetawan First Nation, situated on the shores of Georgian Bay at the mouth of the Magnetawan River. Henvey Inlet First Nation, situated on the shore of Georgian Bay and inland south of the French River. Dokis First Nation, situated on the southwest portion of Lake Nipissing. Please consider the heritage of these lands and waterways, and pay respect to the First Nations Peoples as you paddle throughout their original territories, following the routes of canal expeditions, steamers, and railroads that came with European expansion. ASI [Archaeological Services Inc.] 1994 Report of the Master Plan of Archaeological Resources of the District of Muskoka and the Wahta Mohawks. 3 vols. On file at the District Municipality of Muskoka office. Franks, C.E.S. 1985 David Thompson’s Explora ons of the Muskoka and Madawaska Rivers. In Nastawgan: the Canadian North by Canoe and Snowshoe, edited by B.W. Hodgins and M. Hobbs, pp 24-37. Betelgeuse Books, Toronto.